In a first-floor room above Brick Lane, a few doors south of the point at which the railway bridge bisects the street, is a modern kind of sanctuary: a place where, if you’re feeling unhappy, uncertain and isolated, you can find like-minded company and develop a few useful skills. For a place of recuperation, it can be pretty noisy, as the main room is filled with ranks of sewing machines. Up to thirty women at a time can be found hunkered down at them, feeding lengths of fabric through clattering metal teeth; shaping, stitching, talking over the squall of work. 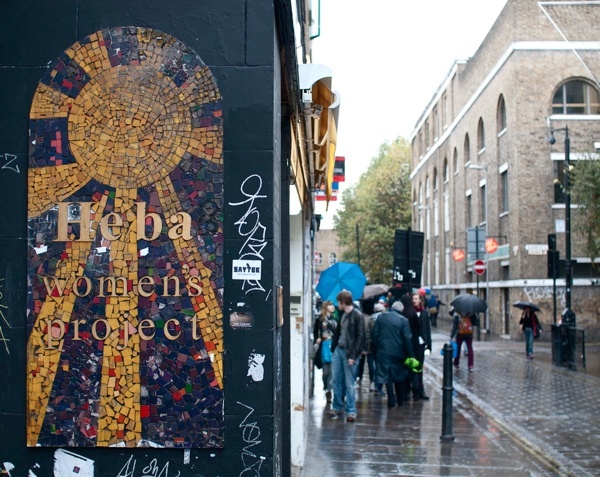 This is the Heba Women’s Project – the h-word means “women’s talent” in Arabic. That’s the force upon which this place runs – and the one it seeks to unlock in others. Anjum Ishtaq, the ageless, quietly stylish woman who runs this centre, shows me around the premises: the meeting area with the crowded noticeboard and bookshelves; the little kitchen in which she makes me a mug of tea; the crèche, OFSTED-inspected, where the children of the Project’s clients are supervised; the sunlit workroom with its rows of workspaces; the storeroom packed with bolts of cloth, all begged and borrowed from a hundred donors. 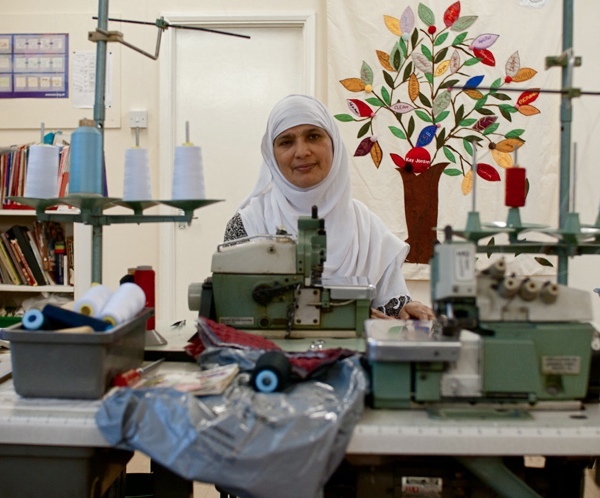 The Project has proved an unusual beneficiary of the slow death of the East End rag trade: much of its equipment and materials have come from businesses that have closed down. Nothing is wasted. 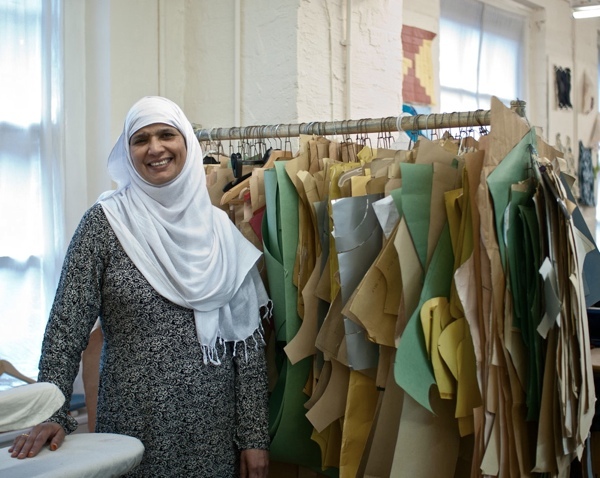 And most of what is made here is sold: a stall at Spitalfields market, staffed by volunteers, ensures that the centre produces garments that end up on customers’ backs. The Project is not all Anjum’s own work. It owes its existence to a campaigning Yorkshirewoman named Kay Jordan, a community entrepreneur who is legendary in these parts. In 1983, Jordan, then an architect working for the Solon housing co-operative, founded the Spitalfields Small Business Association. 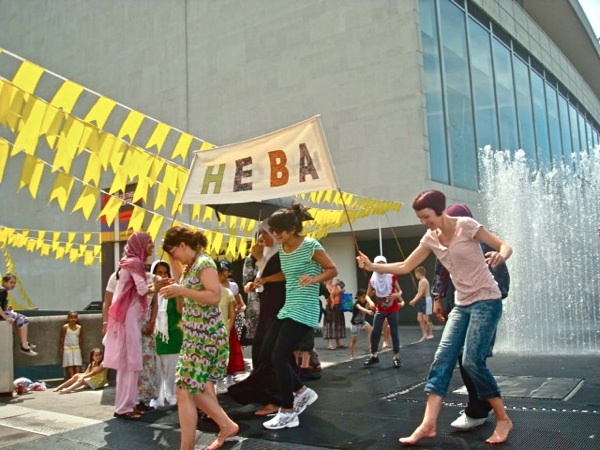 Funded by the now-defunct Greater London Council, SSBA aimed to help local residents set up their own workshops and commercial premises in the East End. Jordan oversaw the refurbishment and development of over 62,000 square feet of derelict and underused buildings around Spitalfields. She was a socialist to whom Prince Charles came for advice on community architecture. 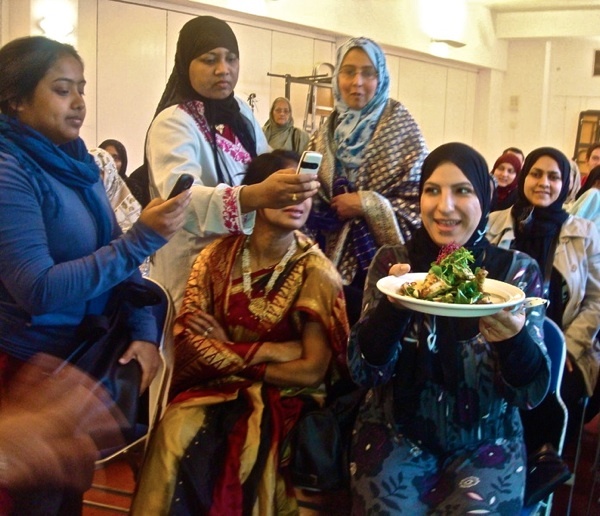 When Jordan died, suddenly, of meningitis, at the end of 2010, Anjum thought that the Centre might die with her. They lost funding. They endured their own financial crisis. There was a period when the possibility of closure was a problem that had to be addressed on a monthly basis. 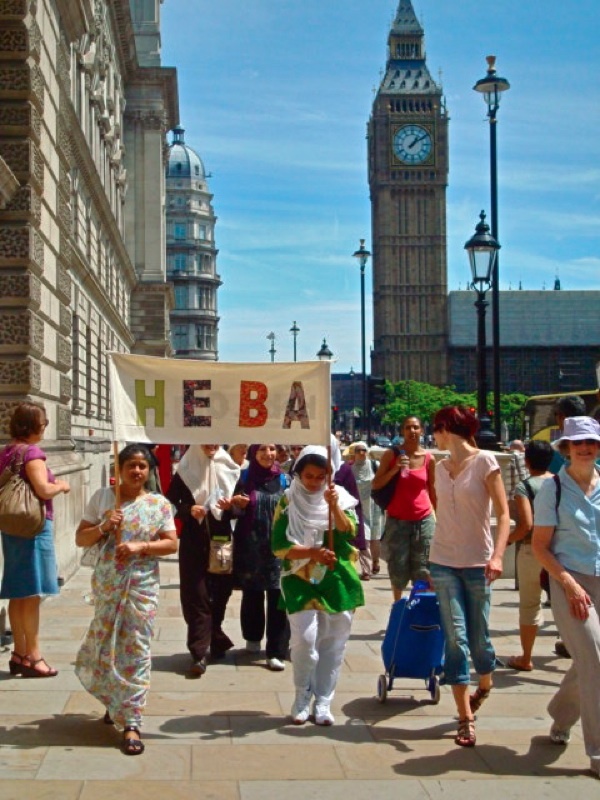 The Heba Women’s Project is now on a surer footing, but it is still in urgent need of funds. 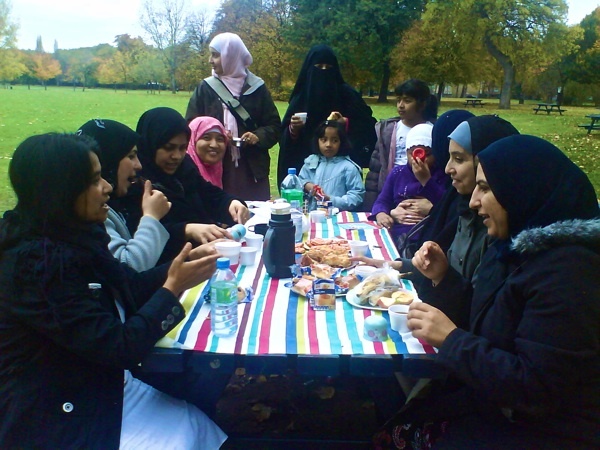 A new Saturday session, aimed, I sense, at some of the more middle-class make-do-and-menders of Spitalfields, is one new initiative that might help to secure its future. 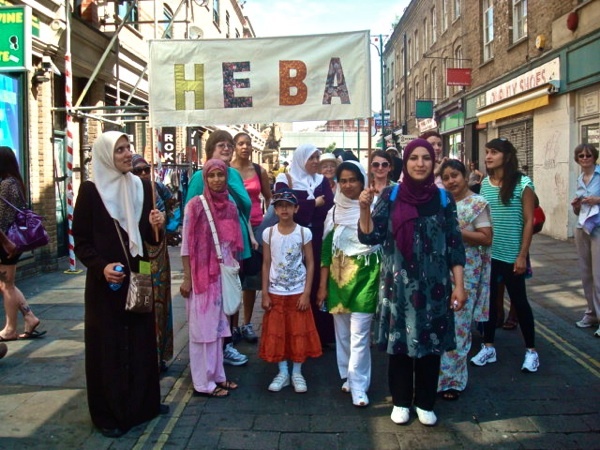 Members of Heba Women’s Project on Brick Lane. High jinks on the South Bank. What kind of things do the women make? Anything from simple tote bags to baby clothes and winter jackets. It all depends on what they have designed and would like to create. They also have a stall in new Spitalfields market near giraffe every Sunday. Anjum is just the kindest, most patient and inspirational teacher. You are lucky if you get the chance to come to one of her classes!